Cartilage is a kind of connective tissue that cushions and protects your joints. As you age, or because of injury, your cartilage may begin to break down and thin out, resulting in a painful disorder known as osteoarthritis. The dietary supplements glucosamine and chondroitin may ease your symptoms of arthritis, but, in addition to the benefits they may confer, they may have drawbacks. Knowing the pros and cons of glucosamine and chondroitin can help you decide if supplementation is appropriate for you. Glucosamine and chondroitin are both available as individual supplements, as well as combined together. However, consult with your health care provider before adding these, or any, supplements to your daily routine. The University of Maryland Medical Center reports that supplementing with glucosamine may lessen your symptoms of osteoarthritis, particularly arthritis in your hip or your knee. Glucosamine may decrease stiffness in your afflicted joint, allowing greater mobility and function. It may also reduce swelling and pain, and the positive effects of glucosamine may persist for three months after you stop supplementation. Adding glucosamine to your health regimen may actually slow the progression of osteoarthritis by inhibiting the breakdown of cartilage in your joint. In addition to osteoarthritis, glucosamine may relieve the pain of temporomandibular joint arthritis. The source of glucosamine supplements is chitin from the shells of crustaceans. Therefore, if you are allergic to shellfish, you may react adversely to glucosamine supplements. Glucosamine shares some molecular similarities to heparin, a natural blood-thinning agent in your body, and it can increase the effect of anticoagulant medications such as warfarin. Glucosamine supplement preparations may contain significant sodium or potassium, which may not be suitable for you if you are limiting your dietary intake of these minerals. Chondroitin shares many of the potential health benefits of glucosamine. It may reduce the pain and swelling of osteoarthritis, especially if it affects your hip or knee. In addition to improving your joint’s range of motion, the effects of chondroitin may last for some time after you stop supplementation. 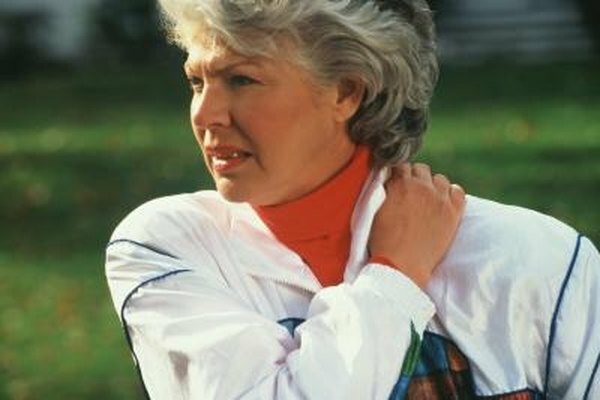 Left untreated, osteoarthritis often worsens as you age. Chondroitin may slow the progression of this disease not only by rebuilding lost cartilage but also by inhibiting the breakdown of this protective tissue. In addition, chondroitin may act as a mild anti-inflammatory molecule in your joint. Chondroitin is generally considered a safe dietary supplement. However, as with glucosamine, chondroitin is related to heparin and may add to the effect of any blood-thinning medications you take. Many chondroitin supplements originate from animal cartilage, which you may consider a con if you avoid animal products in your diet. However, chondroitin supplements made from algae are commercially available.